The lavishly verdant Ionian islands have a very distinctive character reflecting the passing of the Venetians, the French and the British. Pine forests, olive groves and vineyards combined with white sand beaches create a landscape of exquisite beauty. 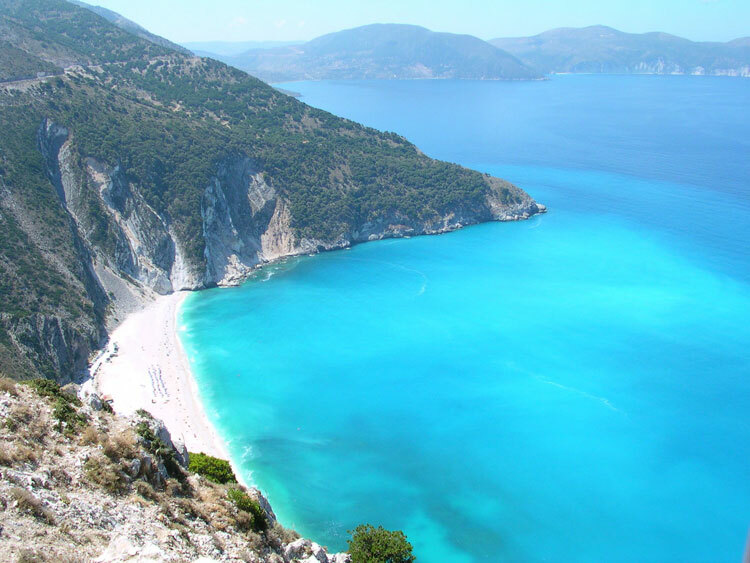 Kefalonia, one of the largest islands of the complex, will charm you with its lovely villages and endless beaches. 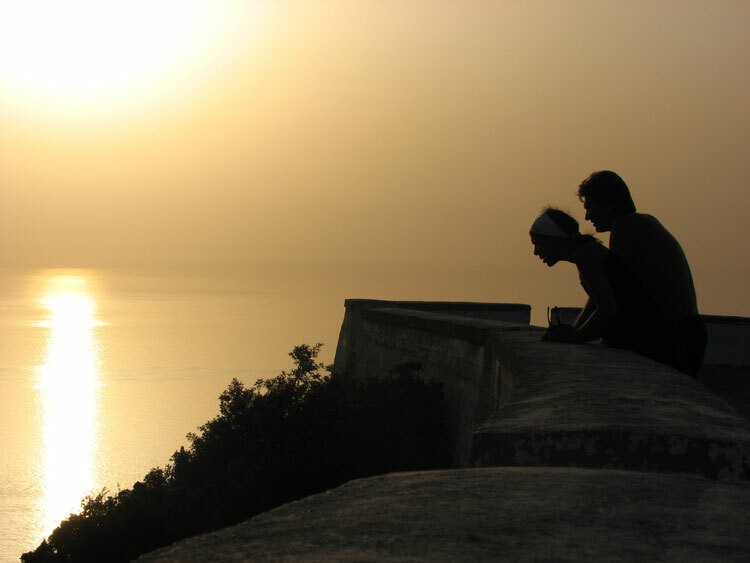 It comes as no surprise that the island attracts people from Greece and all over the world. They come here not only to spend their summer vacation but also to get married! Kefalonia weddings are becoming increasingly popular among couples that look for a romantic destination to organise the big day of their dreams. They actually make an excellent choice because Kefalonia is perfect for weddings – a wide variety of locations that cater any taste, high quality services, pleasant weather and a very romantic and relaxed atmosphere. Can you ask for anything more? The church by the side of the harbour in the picturesque village of Assos is our favourite spot. The beauty of this location is incredible and iconic of Kefalonia. The Venetian fortress proves to be an incomparable background for your wedding photos. Another favourite and very unique spot is the Fanari lighthouse in Argostoli. The lighthouse itself is beautiful and provides the best setting for a very romantic wedding during dusk. 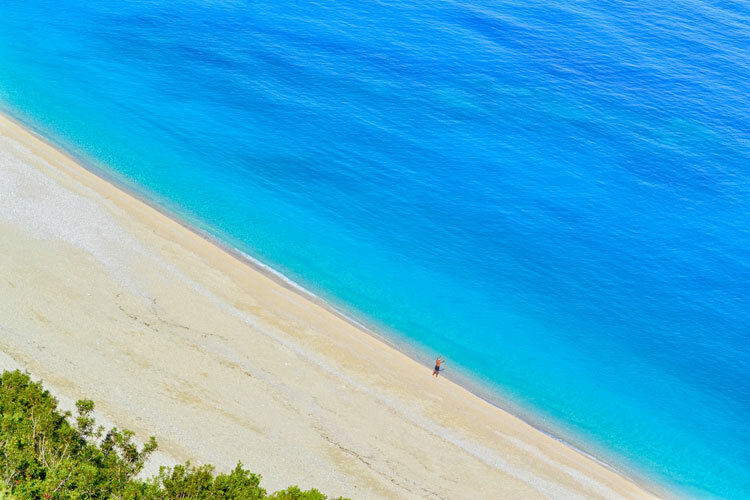 If you are not so much of a beach lover, you may consider Cephalonia Botanica, the botanical garden of Kefalonia. Open from May until October, a few kilometres from Argostoli, the capital city, this beautiful garden can be the whimsical spot you have been looking for. The range here is equally wide. There are charming chapels that will allow you to organise a small, elegant reception in their courtyards. Another option is a private villa that will ensure your privacy and will allow you to transform the place according to your tastes. 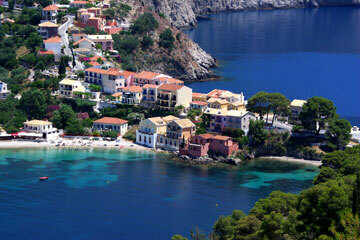 Kefalonia has also excellent hotels with the capacity to cater a large number of guests. We also like the idea of a beach party. The long white sand beaches of this gorgeous island are just perfect for a beach wedding party. If you and your wedding party are coming from abroad, Kefalonia has an extra advantage. Charter flights to Kefalonia are available from all major international airports for a long summer season. Reduced travel cost is definitely a decisive factor to help you make the decision and come to marry in this stunning part of the world!